Isabella of Valois, Duchess of Bourbon or Isabella of France (1313 – 26 July 1383), was a Petit Fille of France, and a daughter of Charles of Valois by his third wife Mahaut of Châtillon. She was the wife of Peter I, Duke of Bourbon. On 25 January 1336 Isabella married Peter I, Duke of Bourbon, son of Louis I, Duke of Bourbon and Mary of Avesnes. Peter and Isabella had only one son, Louis and seven daughters. Her husband died at the Battle of Poitiers in 1356, and Isabella never remarried. After her husband's death Isabella's son Louis became the Duke of Bourbon. In the same year 1356, Isabella arranged for her daughter Joanna to marry Charles V of France; as he was at the time the Dauphin of France, Joanna duly became Dauphine. Louis II, Duke of Bourbon, 1337-1410, became Duke of Bourbon in 1356 married Anne of Auvergne had issue. Joanna of Bourbon, 1338-1378, married King Charles V of France, had issue. Blanche of Bourbon, 1339-1361, married King Peter of Castile, she was murdered by him in 1361 and had no issue. Bonne of Bourbon, 1341-1402, married Amadeus VI of Savoy, by whom she had issue. Margaret of Bourbon, 1344-1416, married Arnaud Amanieu, Lord of Albret, by whom she had issue. She had as her butler Jean Saulnier, knight, lord of Thoury-on-Abron, councilor and chamberlain of the king, bailli of Saint-Pierre-le-Moûtier.. When she became a widow, she took the veil. She died on 26 July 1383 at the age of seventy. She was buried in Eglise des Frères Mineurs in Paris. ^ a b c d e f Joni M. Hand, Women, Manuscripts and Identity in Northern Europe, 1350-1550, (Ashgate Publishing, 2013), 217. ^ David Nicolle, Poitiers 1356: The Capture of a King, (Osprey, 2004), 24. ^ Abbé Jacques-François Baudiau, Le Morvand, Nevers, 1865, 3e éd. Guénégaud, Paris, 1965, 3 vol., t.II, p. 152. Joanna of Bourbon was Queen of France by marriage to King Charles V. She acted as his political adviser and was appointed potential regent in case of a minor regency. 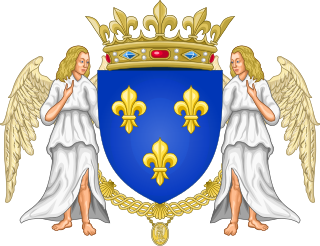 Louis de Bourbon, called the Good, son of Peter de Bourbon and Isabella de Valois, was the third Duke of Bourbon. Bonne of Bourbon was a daughter of Peter I, Duke of Bourbon, and Isabella of Valois, and hence a sister of Joanna of Bourbon. She served as regent of Savoy during the absence of her spouse from 1366 to 1367, in 1383, and during the minority of her grandson Count Amadeus VIII in 1391. The Counts of Dreux were a noble family of France, who took their title from the chief stronghold of their domain, the château of Dreux, which lies near the boundary between Normandy and the Île-de-France. 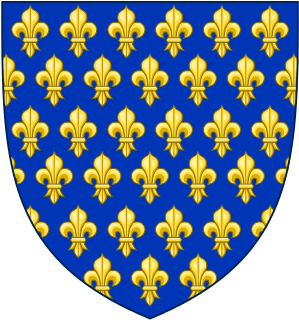 They are notable for inheriting the Duchy of Brittany through Pierre de Dreux's marriage to Alix de Thouars in the early 13th century.